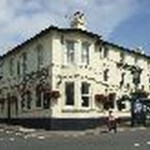 Trying to find pubs in Burgess Hill? You’ve come to the right place. We’ve got every pub and bar in the UK listed. Whether you’re looking for a pub or bar in Burgess Hill to play darts, somewhere to play pool or just want to have a look at a menu before you go, we can help. Railway in Burgess Hill has a beer garden. The pub has a car park, it has disabled facilities. Railway is a family friendly pub. The pub serves food, it serves real ale. Railway has free WiFi. The pub is a member of Cask Marque. Block and Gasket in Burgess Hill has a beer garden. The pub is a family friendly pub, it serves food. Block and Gasket has an outside area. The pub serves real ale, it has free WiFi. Block and Gasket is a member of Cask Marque. Top House in Burgess Hill has an outside area. 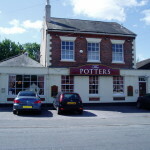 Potters Arms in Burgess Hill shows football on TV. The pub has Sky Sports, it has terrestrial TV. 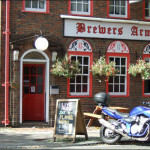 Brewers Arms in Burgess Hill shows football on TV. The pub has Sky Sports, it has terrestrial TV. Windmill in Burgess Hill has a beer garden. The pub has a car park, it serves food. 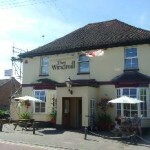 Windmill has an outside area. The pub serves real ale, it shows football on TV. Windmill has terrestrial TV. The pub is a member of Cask Marque. Kings Head in Burgess Hill has a beer garden. The pub has an outside area, it has a dart board. Kings Head has DJ's. The pub has karaoke, it has live music events. Kings Head holds Poker Nights. The pub has a pool table, it holds quiz nights. Kings Head has a big screen. The pub shows football on TV, it has Sky Sports. Kings Head has terrestrial TV. Cricketers in Burgess Hill has a car park. The pub has an outside area, it has a smoking area. Cricketers has a dart board. The pub has a pool table, it has a big screen. Cricketers shows football on TV. The pub has Sky Sports, it has terrestrial TV. Watermill in Burgess Hill has a car park. The pub has an outside area, it has a smoking area. Watermill has a dart board. The pub has a pool table, it has a big screen. Watermill shows football on TV. The pub has Sky Sports, it has terrestrial TV. 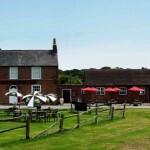 Weald Inn in Burgess Hill has an outside area. The pub shows football on TV, it has Sky Sports. Weald Inn has terrestrial TV. Burgess Hill RFC in Burgess Hill has an outside area. The pub has a dart board, it has DJ's. Burgess Hill RFC has karaoke. The pub shows football on TV. Oak Barn in Cuckfield has a beer garden. The pub has an outside area. Friars Oak in Hassocks has a beer garden. The pub has a car park, it has disabled facilities. Friars Oak is a family friendly pub. The pub serves food, it has an outside area. Friars Oak serves real ale. The pub has a real fire, it has free WiFi. 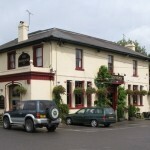 Friars Oak is a member of Cask Marque. 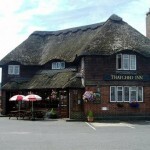 Nestling at the foot of the South Downs, The Thatched Inn, with its picturesque roof of Norfolk reeds and oak beams, has spectacular views over the Sussex countryside to the Ditchling Beacon. Sportsman in Goddards Green has a beer garden. The pub has a car park, it has disabled facilities. Sportsman gives a warm welcome to dogs and their owners. The pub is a family friendly pub, it serves food. Sportsman has an outside area. The pub serves real ale, it has a real fire. Sportsman has free WiFi. The pub is a member of Cask Marque. Hassocks Hotel in Hassocks has a beer garden. The pub has a car park, it has disabled facilities. Hassocks Hotel gives a warm welcome to dogs and their owners. The pub is a family friendly pub, it serves food. 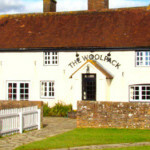 Hassocks Hotel has a function room that can be booked. The pub has an outside area, it serves real ale. Hassocks Hotel has a real fire. The pub has a smoking area, it has free WiFi. Hassocks Hotel has a dart board. The pub has a pool table, it holds quiz nights. Hassocks Hotel has a big screen. The pub shows football on TV, it has Sky Sports. Hassocks Hotel has terrestrial TV. The pub is a member of Cask Marque. Greyhound in Keymer has a car park. The pub has an outside area, it has free WiFi.